Use practical cooking and leftovers to change YOUR world! I love cheesy grits. 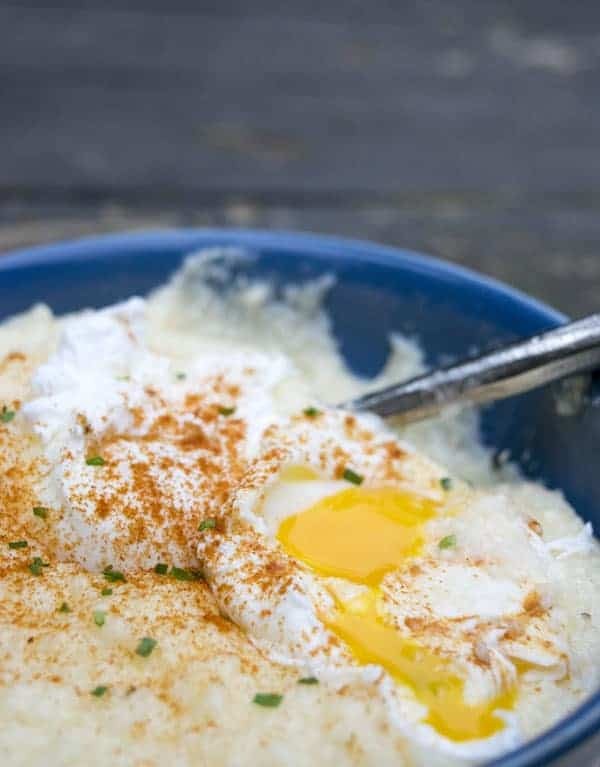 My all time favorite hangover/comfort food is cheesy grits with a poached egg. It’s like a hug in a bowl. It’s great when you’re sick too. Yum. Look at that egg! It’s like butter. I will have to show you guys how to do a poached egg. It’s not hard with practice. Oh wow. 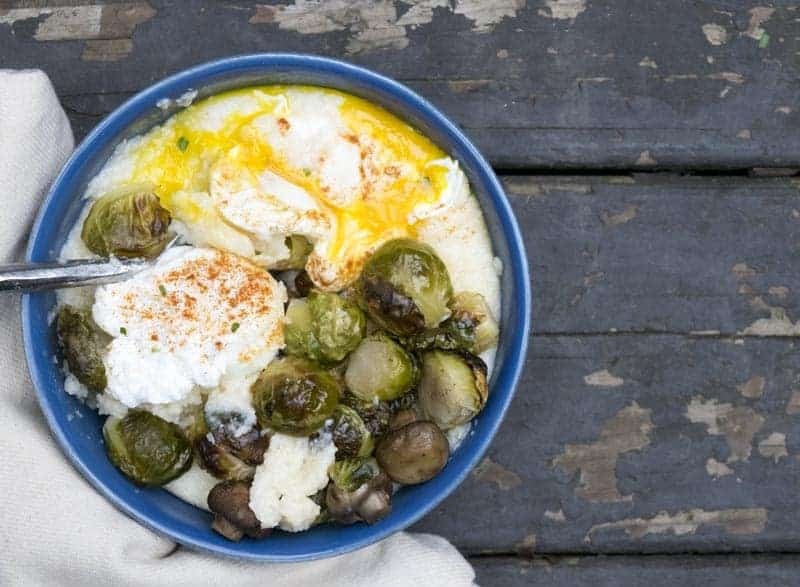 You can even add roasted vegetables to it. See my post on how to roast vegetables. Or just throw some chili in there. Why not? Lets get crazy! 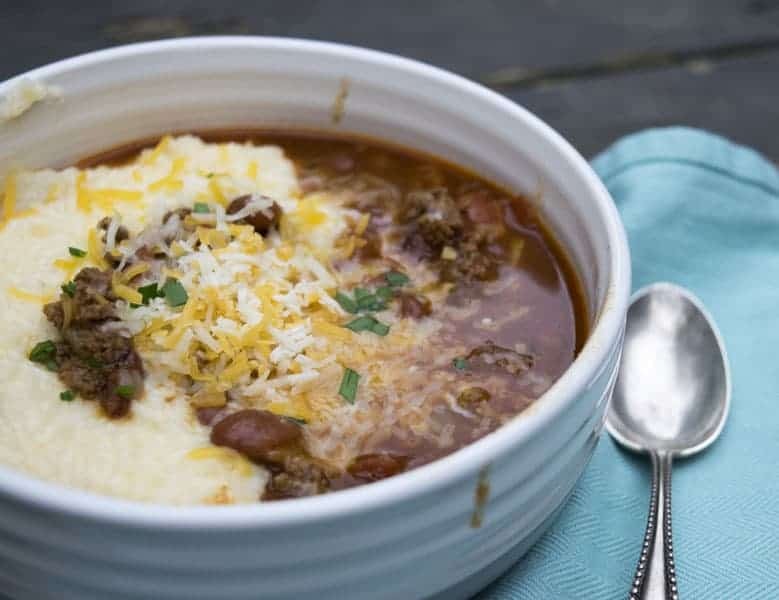 Get my Chili recipe. Delicious. 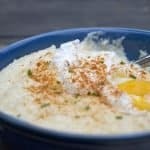 Now I use quick cooking grits (I know it’s cheating, but they are so fast!). Then I add about a cup of cheddar cheese to the grits once they are done. 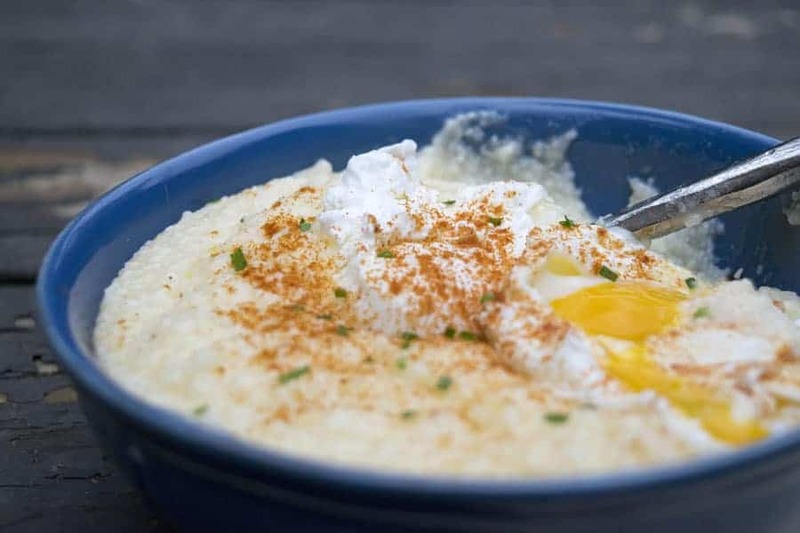 These cheesy grits are the perfect hangover cure (or if you are actually sick). Bring water and salt to a boil in a medium sauce pan that has a lid. Slowly stir in the grits. Reduce heat to medium-low, and cover. Cook 5 to 7 minutes or until thickened, stirring occasionally. Add 1 cup of cheese and stir until melted. Garnish with poached, fried, or a soft boiled egg and a dash of cayenne pepper. I like cheddar cheese, but you can use any cheese. Leanna here, and I want to tell you that cooking at home is the way to go! Whether you are trying to be healthier or save some money, I have a recipe for you. I have fallen in love with cooking, and I want to shout from a rooftop, “You can fall in love with it too!”.Take a look around for some inspiration to get cooking. 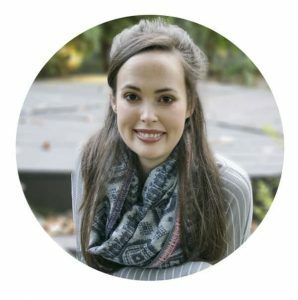 Subcribe to stay updated on the latest tips, tricks, and recipes! I hope you have been inspired to cook by looking through some of my favorite recipes! Thank You for visiting me here at The Hungry Waitress! Feel free to give me any feedback at hungrywaitress@gmail.com!